Thy on Gray Area: What’s the cause of the dying fish? During one semester of Mandarin in 8th Grade, I’ve learned so much. One of my best successes of this semester is probably learning to write the characters. I think this because in every quiz and test I’ve really tried my best to familiarize with the characters. Thanks to this, I was able to learn all the characters easily. An area I need to work on is probably my speaking and pronunciation. Because I’ve been so concentrated on writing the characters, I haven’t had much practice in speaking and the pronunciation. To improve I think I will practice a lot and I will listen to different clips of people speaking Chinese so it can help my pronunciation too. A CSI is where you visually describe a word using a color, symbol and image to represent the word. I created my digital CSI on the word ‘Industrial Revolution’. The color I chose for my word is a shade of light grey. I chose this color because I think the Industrial Revolution is a time when machines and mechanics revolutionized everything and usually machines remind me of the color grey. Also, I chose a symbol of a gear. I chose this because like the color, machines and mechanics reminded me of a machine gear and I think this ties into the Industrial Revolution. Finally, I chose the image of a hand changing into a big factory. I chose this because the during the Industrial Revolution, there was a big change from people manufacturing by hand to manufacturing by machines. Our Newton’s Vehicle project has come to an end I’ve learned through this experience. One thing I have learned through the design process is that sometimes things don’t necessarily go as planned and you must use this to quickly improvise. At first, my group intended on making our vehicle using CD disks and a single strip of cardboard. Though we had trouble attaching the CD disks onto the cardboard and we had trouble accelerating the vehicle as the balloon attached to the straw let out really little air at a time which wasn’t enough force to accelerate the car. Quickly, my group mates and I improvised and constructed a more successful model. Despite the success of the design process of our second model, there are some changes I would make in the design process. I think I should have more accurately measured things out during the design process. For example, I didn’t measure the holes in which the chopsticks that supported the wheels went in. This led the wheels to be way too high and the wheels couldn’t touch the surface because of this. Measuring accurately before taking action is probably one of the biggest things I would consider during the design process next time.I also learned that you must have a thorough understanding of Newton’s three Laws in order to build a successful vehicle. If I hadn’t known of Newton’s second Law, I would have built a vehicle with too much mass that led the vehicle to accelerate very little. Not only that, Newton’s first law and Newton’s second law helped me understand the why a vehicle was able to move. If I did this project again, I think I would have tried to build our vehicle to travel on air. I think this is a good extension to the project for everyone in our class did a vehicle that traveled through land. I think building a vehicle that travels through air would accelerate more easily since there is less friction. I think this would be a fun and challenging experiment to do. After several trials of breaking our vehicle apart then rebuilding our vehicles, my group mates and I were finally able to complete our first prototype of the vehicle. We were able to build a successful prototype by keeping Newton’s Law of Motion in our minds. Newton’s First law states that an object will remain at rest unless a force acts upon it. Keeping this in mind, we incorporated the balloon as our force acting upon the vehicle at rest. The force of the balloon would accelerate our vehicle, making the vehicle move. Secondly, using Newton’s Second law that states that an object’s acceleration depends on the mass and the force acting upon it, we’ve tried our best to make a lightweight vehicle. The small box we’ve used as our body of the car represents how in order to increase the acceleration of our vehicle, we’ve decreased the mass of our vehicle. Lastly, Newton’s Third law is utilized into our vehicle to make sure our vehicle moves forward. Newton’s Third law states that to every action there is an equal amount of reaction opposite the action itself. In our vehicle, as the balloon deflates, the air reacts and gives off an reaction equal and opposite to the balloon’s deflation. In other words, as the balloon deflates pushing the air backwards, the air gives off an equal yet opposite reaction which pushes the balloon forward. This is what makes it possible for our vehicle to move forward. During the entire construction process of our vehicle, we’ve kept in mind of Newton’s Laws of Motion. As a result, I think we were able to build a successful vehicle that utilized all through of Newton’s Laws of Motion. Living in Vietnam, going to Korea and having a big family reunion was a rare event. Seldom did we ever have the chance to sit around as a big family with my grandparents. As a result, whenever my family went to Korea to visit our relatives, we were always greeted with welcoming faces. Of all of the welcoming faces, my grandpa was probably the most memorable. Although no one really spoke about it, there was a kind of tradition between my grandpa, my brother and I. Every time we visited Korea, my grandpa would get tteokbokki for us everyday. Tteokbokko, which is a traditional Korean snack that incorporates chewy rice cakes with fish cake and spicy sauce was one of my favorite Korean foods. Having so much memory in the food made tteokbokki a even more special dish for me. Everyday during my visit to Korea, I would anxiously wait with excitement for my grandpa to come home with a big smile and tteokbokki in his hands. Then, ready with forks, my brother and I would start gobbling the tteokbokki up. My grandpa would always refuse to eat even though we strongly insisted that he eat with us. He would wear a big smile on his face and get satisfied by the mere act of my brother and I enjoying the food. With this chance, we were able to talk to my grandpa more which encouraged us to feel more comfortable around my grandpa since we seldom had a chance to talk to each other. The dish tteokbokki, which is very special to me has more meaning behind it. 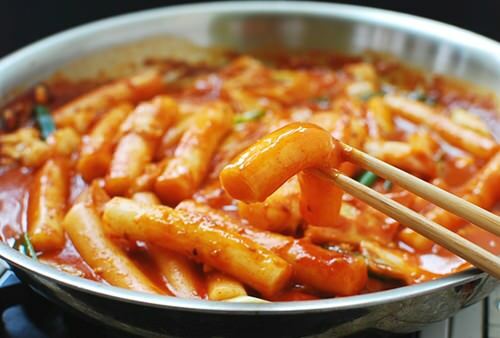 Originally tteokbokki was made to not be spicy as soy sauce was used instead of the spicy sauce. This non-spicy tteokbokki was served to the King of Korea in the olden days. 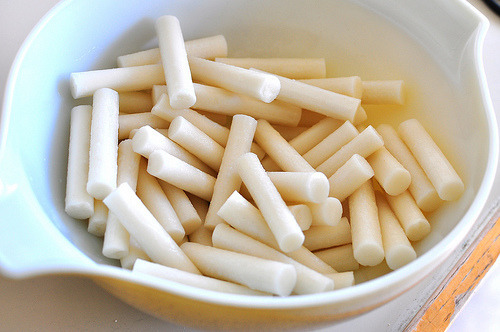 This dish soon developed to become Korea’s number one loved snack. Not only that, tteokbokki is made with inexpensive ingredients and the process of making the dish is very easy, which made the dish possible to easily make at home. Cut the rice cakes into bite size pieces and leave it in cold water for a while. Boil fish cakes for a short 2 minutes and leave it in cold water for a while. Cut up the leek into small pieces. 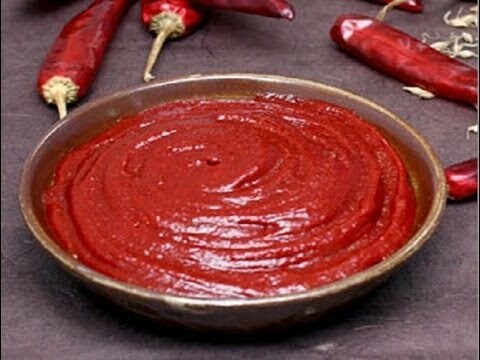 Combine all sauce ingredients in a bowl and stir until the sauce becomes paste- like. Light a pan and spread some oil in it. Add the rice cakes, fish cakes and leek into the pan and stir-fry for a while. Then add the sauce into the pan and cook. Now your tteokbokki is ready to eat! No motors, no batteries, and no gravity. Our task is to construct a vehicle that would travel at least 1.5 meters, but the vehicle isn’t allowed to have a second source of force pushing or pulling the car. Given this task in our science class, my group mates and I quickly started brainstorming ideas of how we could create a vehicle that fit the given requirements. But before we even started building our vehicle, we needed to fully understand what we were doing and the different concepts in motion that would help us during the building process of our vehicle. One of the important concepts in physics that would help the process of construction of the vehicle is gravity. So what exactly is gravity? Gravity is the force that attracts and pulls objects towards each other. This force exists between any two objects in the universe. For example, the gravity of earth is pulling us down towards earth, making it possible for us to stay standing on earth without floating away. Unlike gravity, friction is the force that two objects exert on each other when they rub against each other. There are a lot of different types of friction such as sliding friction, rolling friction and more. Friction is the force your hands exert on each other when you rub your hands against each other, one hand exerts force onto the other hand as you rub them together. Another key term Inertia which also means Newton’s first law, is the resistance to change in motion. Newton’s first law shows that an object moving will continue moving and the object at reset will remain at rest. Specifically, an object will continue moving unless it is acted upon by a force, and vice versa. With this, we know that if the mass is greater, the inertia is also greater. Moving on, Newton’s second law of motion is that an object’s acceleration depends on it’s mass and the force acting upon it. For example, if one shopping cart is filled with bottles of coke and the other cart is empty and we push both of the carts with a equal amount of force, the empty cart would have a greater acceleration. Finally, Newton’s third law summarizes that if one object exerts a force onto the second object, the second object will exert an equivalent amount of force to the opposite direction on the first object. Now that I know the basic concepts of physics, I can take into consideration of how I would build the vehicle. I think friction is a topic I would really take into consideration during the construction process of my vehicle. I will try to make sure there isn’t much friction between the surface and my vehicle. To do this, I will try to equip my vehicle with CD disks as the wheel. I assume that the thin disk will travel smoothly through the surface, decreasing as much friction as possible. Newton’s second law is another concept I would really keep in mind. I will try to build my vehicle with the least mass as I possible can to reassure that the vehicle will have a greater acceleration. Using light materials such as CD disks and a single piece of cardboard, I will try to ensure that the vehicle will have a greater acceleration. In science class, we learned how to code for an hour. During the hour, I learned how to create my own flappy bird came by using codes and learned a bit of java scripting. I really enjoyed learning to build my own flappy bird game. At first, I followed the instructions and learned how to build the basic game of flappy bird. But as I grew more familiar with coding, I was able make my own variations of the game. I changed the gravitational force, the setting, the character, the sounds and the speed of the game. I found the hour really enjoyable and fun as I explored the different types of coding and I intend on spending some time in the future learning to code even more. I was hallucinating. This could not be real. A holy, sacred flying object had just landed in the wheat field. The sacred object radiated as a human-like creature walked out of the object. Like the mysterious object, the creature was glowing. Only one thought struck my mind. Was this the Lord? Had the Lord come down from Heaven? I stood in front of the wheat field, and the next second I found my mouth wide open with awe. “My Lord! You have come to me!” I exclaimed. The creature whom I believed was the Lord was rather gray though he glowed very brightly. Despite his unexpected grayness, I sprinted towards him with excitement. The Lord had finally come to me! As I ran towards the creature, the creature stared at me mysteriously. “I am not your Lord. Though I must say the Lord is a very interesting and respectable figure,” the creature said. “Wait so you’re not him? Then, who are you?” I asked. I was extremely convinced that this extraordinary creature standing in front of me was . “You wouldn’t know where I was from even if I told you. May I ask where I am?” the creature asked with confusion. “Oh you’re in Hamburg of Germany. Surely you know where Germany is right?” I asked. “Why yes for sure! Germany is quite a very beautiful country,” the creature said. I peered at the creature with curiosity. As if sensing my curiosity, the creature continued. “Let’s just say I’m really interested in your world. Especially in the different types of religion your people believe in. As you have mentioned before, the Lord is one of my most respected religious figures. Also, Catholicism and Protestantism have to be two of the most interesting religions ever,” the mysterious creature said with admiring eyes that clearly expressed his fascination towards the two religions. “Well you know, my parents and I are Protestants and my grandparents are Catholic,” I said. I was still convinced that this creature was the Lord. I was guessing he had come to settle and conclude the conflict between the Catholics and the Protestants. “Is that so? Though how does that simply work? One family having two different religions? Especially two religions that have been having some conflict between them?” the creature asked, full with curiosity. Now I was starting to slightly doubt my assumption of the creature being my Lord. “It is a complicated story, though if you are willing to listen, I can tell you what happened,” I said. Now I was pretty sure that this creature wasn’t the Lord, though I decided to stay since I’d rather explain my family’s religious background then go to school. “You seem to know a bit about Protestants and Catholics,” I said. We walked out of the wheat field and sat by the path just beside the wheat field. The mysterious creature seemed very keen on listening to the story. Somehow, he seemed to know a bit about the Protestants and the Catholics. Though I started out with explaining how Protestantism started to build up. Martin Luther had been a devoted catholic and priest who had strongly disagreed to the Catholic Churches act of selling indulgences. Like many other reformers, he had criticised the churches and church officials. Martin Luther then wrote the 95 Theses that criticised the Catholic church and called for reform. Though Martin Luther wasn’t the only person who had called the Catholic Church to reform. John Wycliffe, Desiderius Erasmus and Jan Hus had also been reformers who had hugely impacted Europe back then. Excited, I enthusiastically told the creature the story. When my grandparents were young, a majority of Europe’s population had been mainly Catholic. Like everyone else, my grandparents were also Catholic. Though everything started to change as major calls for reform of the Catholic church broke out during 1517 when Pope Leo X started to sell indulgences in order to raise money. Several people such as Martin Luther strongly disagreed to this act. Many people were angered not only by the act of selling indulgences but also to the pope and several church officials immoral behavior. This soon led up to Martin Luther, posting his 95 theses on the church door of Wittenberg. This ignited several protesters to call for reform. In 1555, the Peace of Augsburg had put an end to the fight between Protestants and Catholics. The Peace of Augsburg had been a victory to the Protestants. With the help of printing presses, quite a majority of people in Europe had become Protesters by 1560. That was the time my parents were growing. The widespread of Protestants effected my parents to become Protestants too. After my ‘lecture’ was over, the mysterious creature stared at me in awe. He was obviously amused by the story I had told. “So you too are a Protestant, am I correct?” the creature asked. “Yes, I am a Protestant. Why I must say the act of selling indulgences was very wrong. Not only that, the Popes and church officials were too corrupt!” I exclaimed. Just then, Mr. Axel, our local bakery owner walked by. “Well hello there! Who are you talking to?” Mr. Axel asked. “Oh, this is my new friend!” I exclaimed. I was excited to see Mr. Axel’s reactions to the mysterious creature. “Friend? What do you mean friend? No one’s here!” Mr. Axel said as he stared at me like a madman. I looked back towards the mysterious creature. He was right there! The mysterious creature calmly sat there as his gray skin continued to glisten. “ You know what, I’ll just go,” Mr. Axel said as he carefully backed away. “Why isn’t he weird? Why can he not see -” I turned back to face the mysterious creature but all I saw was thin air. The mysterious creature had disappeared. For a moment I sat there confused and excited. The creature had been sitting right behind me a few seconds ago, yet he had disappeared into thin air the next second. That was when my realization struck me. Maybe the mysterious creature was the Lord after all. I had talked to the Lord! Just a moment ago, I had experienced my first personal experience with the Lord himself! After the unbelievable experience, I ran around my town shouting at everyone that the Lord had come to me. No one, especially Mr. Axel, believed me. Though I was sure. The glowing mysterious creature had been the Lord. During PE class, we all challenged ourselves to the 7 minute challenge. The 7 minute challenge was simply challenging yourself to continuously run/jog for 7 minutes. We did the 7 minute challenge every class and measured our heart rate each time. Although the 7 minute challenge was something we did as a class, it was a challenge we did as an individual. We were to surpass our limits and to try our best to beat ourselves in the 7 minute challenge. My personal goal for the 7 minute challenge was to achieve the silver medal. The silver medal was something we achieved when we had run a total of 5 kilometers during our 7 minute challenge. It took me about five times to achieve the silver medal. I think I was able to achieve my goal since every time I really tried to push myself which allowed me to run at least 1 km for each 7 minute challenge run. Though the path of myself reaching my goal for the 7 minute challenge wasn’t each. It was a very rough path for every time my breath started to speed up and my entire body ached, I still pushed myself to try to jog and keep my pace. Being able to overcome these hardships by myself also led to many successes. Like what I have mentioned earlier, I was able to achieve my own personal goal. I have also learned to increase my endurability. Not only was I able to improve myself physically, I was able to achieve different successes mentally. The 7 minute challenge has taught be to push myself harder to not give up. I think the 7 minute challenge has been very helpful to me. Healthy, convenient and delicious. The bento box has it all. Originated from Japan, a bento box is a very convenient home-packed meal. Bento boxes are also widely spread in the Philippines, Korea, Taiwan and even in India. In our cooking and nutrition class, we decided to make our own bento boxes, though with one exception;they had to be healthy. We were to make a healthy bento box based on the ‘My Plate.’ Our bento box had to contain healthy amounts of all fruits, grains, vegetables and protein. I was inspired to make a healthy my plate based bento box. Though I also wanted my bento box to be aesthetically aspiring. 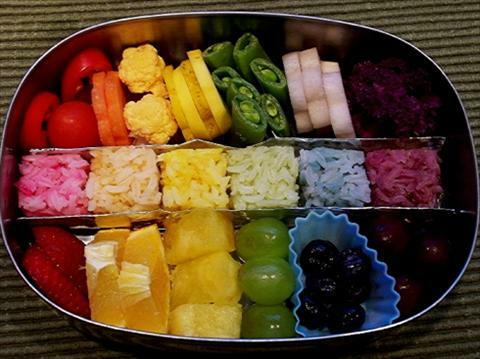 I was looking through bento box ideas when I came across a rainbow bento box as shown below. I thought making something similar like the bento box above would be very easy, convenient and colorful. It would also be easy to fit healthy foods in my bento box. After getting inspired my this, I planned and brought my own healthy rainbow bento box into life. The Yin and Yang has always been one of my favorite symbols with meaning. Therefore, I was inspired to make the yin yang rice. Throughout several inspirations and motivations, I was able to complete my healthy yet colorful and pretty bento box. The making of the Yin Yang rice is very simple. Ingredients needed for the yin yang rice is: a small round container, 1 cup of either sticky or normal white rice, 1/4 sheet of seaweed. First step of making the yin yang rice is to evenly fill the round container with 1 cup of either sticky or normal rice. Then with your seaweed, cover the top of your rice by constructing the yin yang symbol. Cover your rice with seaweed into a yin yang symbol. It should look something like this. The rainbow bento box contains the side dishes for your bento box. It will contain fruits, vegetables and protein. Start out with separating your rectangular container into two halves (the hot dog way) with aluminum foil. Then, one of half of the container add 6 cherry tomatoes. Then cut 1/4 of an apple into small slices and add then next to the cherry tomatoes. Make sure to add the apples next to the cherry tomatoes, and not with the cherry tomatoes. Boil 2 pieces of baby corn and 1 head of broccoli together in a stove with water for 2 minutes. After two minutes, take them out and shake the water off. After boiling, cup the 2 pieces of baby corn into small pieces and add them next to the apples. Cut 2 slices of a kiwi and add them next to the baby corn. Then take 2 tablespoons of defrosted frozen peas and add them next to the kiwi. To complete the 1/2 of the bento box, add 5 grapes next to the peas. The dishes should be arranged next to each other, forming the color pattern of a rainbow. Now that 1/2 of the bento box is complete, we shall move on to the other half. Start out by cooking two small sausages. After the sausages are cooked, place them in the other half of the container above the cherry tomatoes. Then get 2 slices of carrots and place them next to the sausages. After that, get 1 egg and crack it into a boil. Whisk the egg well with a fork. Then add some oil into a small pan and fry the egg. When the bottom part of the egg is solid and cooked, roll the egg into an egg roll. When the egg is completely cooked, cut the egg roll into 4 pieces. Place the pieces next to the carrots. Take 1 leaf of any type of green lettuce and cut it into 4 bite size pieces. Add them next to the egg roll. Retrieve the broccoli head that was cooked earlier and place it next to the lettuce. Finally, take 5 grapes and place them next to the broccoli. Now that the rainbow bento and the yin yang rice is completed, your bento box should look like this.